This is another commissioned painting that was given as a Christmas gift this year. I was contacted via my Facebook page by a mother who wanted to commission a portrait of her son’s dog, Jasmine, who had to be put down this year. I touched base with the mother just after Christmas and she said that her son “loved loved loved [the painting]. Was so impressed with her coloring. He said it was by far the best gift he got. 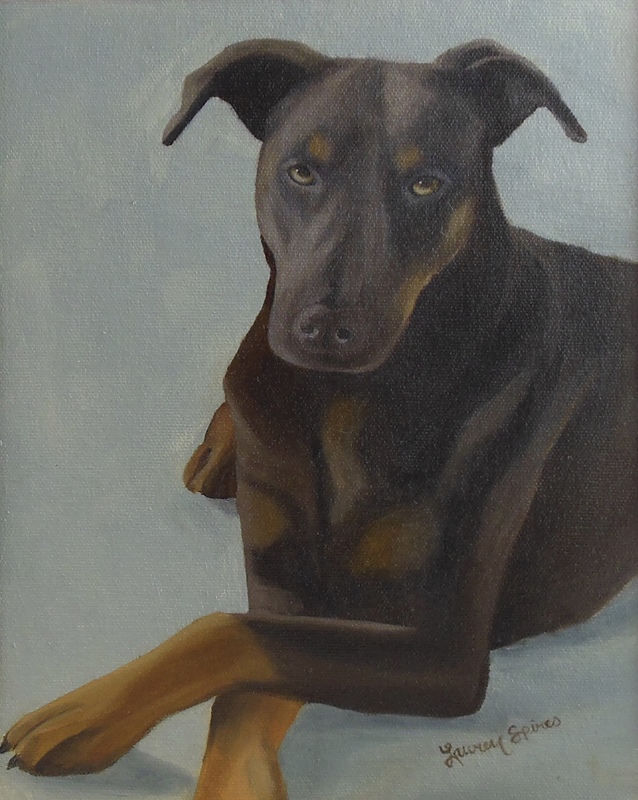 Thank God I saw a Facebook posting of your work.” Of course it’s always bittersweet to paint a pet that has passed on (and I do seem to paint a lot of them), but it is redeeming to hear such sweet feedback from the recipient.